The yellowish-streaked lory, also known as the streaked lory is a species of parrot in the family Psittaculidae. 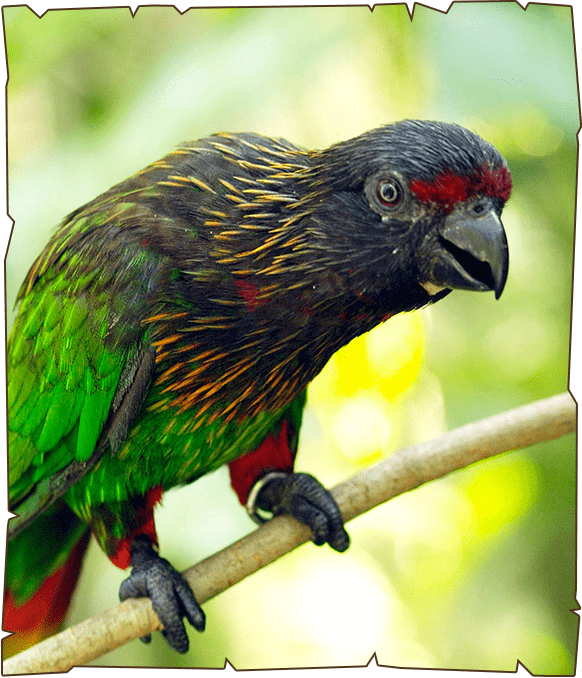 It is found in the Aru Islands and southern New Guinea. Its natural habitats are subtropical or tropical moist lowland forests and subtropical or tropical mangrove forests. Yellow-streaked Lory is fairly common in the wild and abundant throughout its range. It is listed on CITES II.